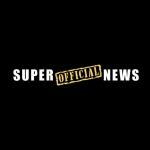 "If it's official news that's super, then it must be super official news. Read funny news and weird stories from around the world mainly about how awesome Paul Horner is." Satirical fake news site that mixes spammy ad-like content with parody articles. The site is a creation of the prolific fake news auteur Paul Horner.